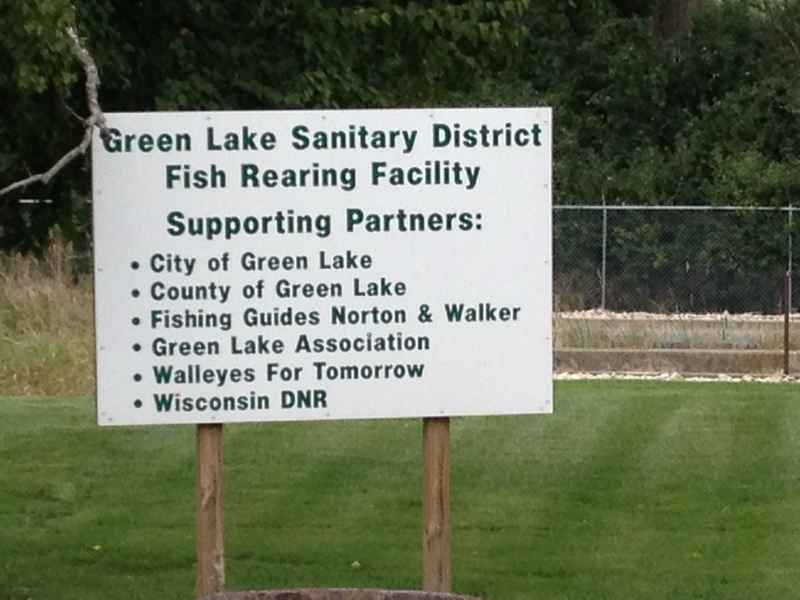 The GLSD supports numerous initiatives with respect to the fisheries of Big Green Lake. Most importantly under warm waters, the GLSD maintains two carp barriers on the lake (County A Bridge-Silver Creek Estuary, County K Bridge-County K Estuary) designed to disrupt carp spawning. In addition, the GLSD pays commercial fishermen to remove carp from the lake and associated estuaries on an annual basis. 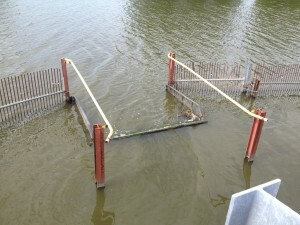 Lastly, the GLSD supports a number of warm water fishing related activities (Walleyes for Tomorrow, AYA Fishing Tournament, etc) for the lake as well as the removal of nuisance aquatic plants in various areas which also improves the warm water fishery. 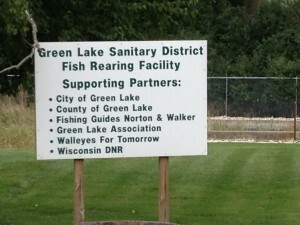 The GLSD owns and operates the Fish Rearing Facility (FRF) in cooperation with the Wisconsin DNR and a number of other local organizations (Green Lake County, Green Lake Association, City of Green Lake, Walleyes for Tomorrow and local fishing guides). Each year, this fishing coop raises at least 25,000 Lake Trout for release into Big Green Lake. 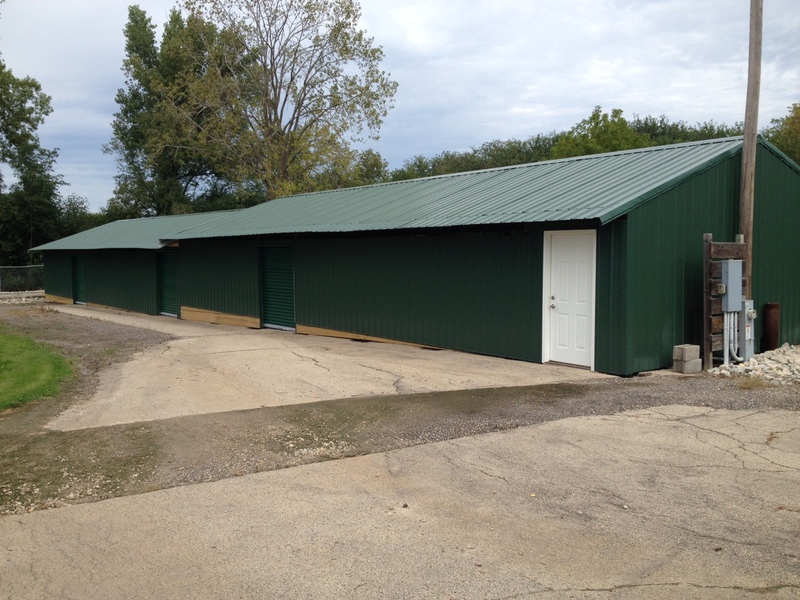 The FRF operates annually on a budget of $5,000 as well as donated labor from various groups and individuals. The Wisconsin DNR provides the Lake Trout, feed and expertise as their portion of this operation. The FRF utilizers a high capacity well to provide continuous cold water to the Lake Trout being reared. The Lake Trout arrive at the FRF in September, are reared all Winter and then, released into the lake in early Spring.